Don’t like soccer? Yes you do, says ESPN. To advertise its MLS coverage, ESPN is rolling out a campaign from Wieden + Kennedy that says, essentially, that soccer is a lot like baseball, football and basketball. Which isn’t really true, but you have to appeal to non-soccer fans somehow. See the ads here. 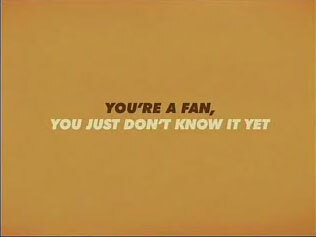 The tagline is, “You are a fan. You just don’t know it yet,” which sounds intriguing enough, although in my experience, when someone uses a phrase like “You just don’t know it yet,” you have to wonder if maybe you’re better off not knowing. (See, for example, “You are an atheist. You just don’t know it yet,” or “You are a master of biofeedback. You just don’t know it yet.”) Still, hopefully some viewers will drink the Kool-Aid—or, failing that, at least the Red Bull.